Along with fall weather, October brought a swirl of legislation aimed at weakening the Endangered Species Act. That’s not surprising: Many Congressional Republicans have long made clear their disdain for the 44-year-old legislation, which many view as impeding industry. Now, with control of both houses of Congress and the White House, the Republican Party may have the political clout on Capitol Hill to fundamentally alter endangered species protection. Here are some of the key bills that have made it out of committee so far. While some proposed legislation would hamstring the ESA, weakening its power overall, other bills focus on rolling back protections for particular species or groups of species. All efforts reveal a determination to interpret the ESA as narrowly as possible by limiting the law to protecting species themselves, not critical habitats or ecosystems. It’s an interpretation that could alter the landscape of the West. It’s also a sticking point with pro-ESA members of Congress, who see habitat conservation as essential for species protection – and a key part of the act’s original intent. Most salmon are anadromous: They hatch in freshwater streams, grow up in the ocean, then return to their birth rivers to spawn. This migratory lifestyle means that two different agencies, in two different departments, manage the country’s threatened and endangered salmon species: the U.S. Fish and Wildlife Service, in the Department of the Interior, and the National Marine Fisheries Service, in the Department of Commerce. The bill, H.R. 3916, would turn the management of salmon and similar species wholly over to the U.S. Fish and Wildlife Service. While having one agency manage these fish sounds sensible, there are a few concerns. First, the Fish and Wildlife Service already has a backlog of candidate endangered species that it lacks time or funds to list, let alone manage, and this bill does not add any funds. Additionally, the current Department of the Interior prioritizes energy production such as hydropower over conservation. Supporters of the Federally Integrated Species Health Act include the Oregon-based Family Farm Alliance, which in a letter of support for the bill blames endangered species management and drought for falling levels of water available for agriculture. One bill moving through Congress would keep gray wolves off the federal endangered species list in Wyoming and the western Great Lakes region by blocking lawsuits to have the species relisted. H.R. 424 (Collin C. Peterson, D-MN). After trying for more than a decade, Wyoming successfully got its wolves removed from Endangered Species Act protections this past spring. Much of the state is now open to hunting wolves on sight. 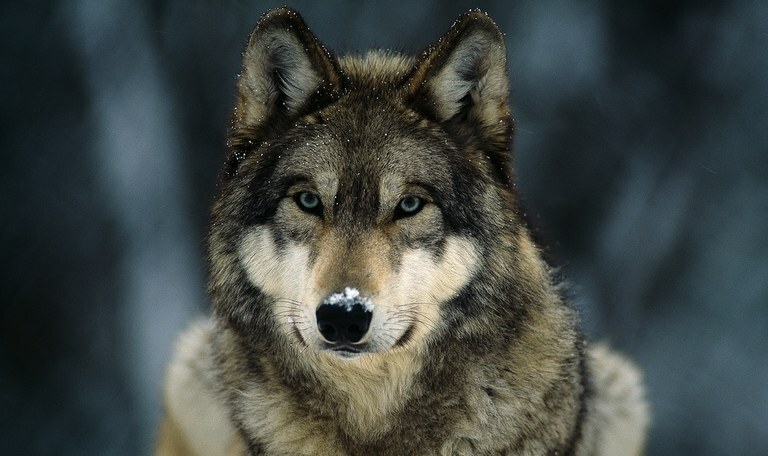 One concern of environmental groups who sued to block the delisting was a lack of clarity about how many wolves the state will maintain; although the state has committed to “at least” 10 breeding pairs and 100 wolves total, that wording is vague and could mean that Wyoming maintains so few wolves, the state’s population risks extinction once more. Yet H.R. 424, which is sponsored by Democratic Rep. Collin C. Peterson from Minnesota, would block lawsuits to reinstate federal protection, ensuring wolves remain delisted in Wyoming and the western Great Lakes. The bill marks a shift toward greater state authority in the management of endangered species, which may also mean that state politics have more sway than science. Not all rare species in the West evolved here: some arrive as exotic pets, circus entertainers, hunting trophies, food delicacies, even sources of alternative medicine. Nevada is the most paws-off, with no state law regulating exotic pets, and a patchwork of laws that vary at the local level. By listing nonnative species, the Fish and Wildlife Service can regulate their movement to and within the United States, safeguarding everything from lion cubs to macaws, while helping protect the country from introduced pathogens and invasive species. Just this month the service and partner agencies concluded Operation Jungle Book in Los Angeles, leading to 16 convictions and rescuing more than 200 wild animals from trafficking, including a malnourished Bengal tiger and five arowana fish flown from Vietnam to Florida inside luggage. H.R. 2603 would put an end to such operations by prohibiting the listing of nonnative species under the Endangered Species Act. According to Rep. Gohmert, listing nonnative species harms their conservation by limiting private citizens’ captive breeding programs. This bill requires the Fish and Wildlife Service to use data submitted by a state, county, or tribal government when deciding whether or not a species is endangered or threatened. But more information isn’t necessarily better in a world of nature politicized. The Endangered Species Act instructs the federal government to make listing decisions “solely on the basis of the best scientific and commercial data available” – not all the data, but the best data: objective, generally peer-reviewed, and, ideally, available through academic publications. For some rare species, such as the federally threatened Gila trout, state scientists are among the experts producing the best data. But forcing the agency to always use data from local stakeholders or regional government entities – who might want a certain outcome on a listing decision, as in the case of the much-polarized lesser prairie chicken – could skew listing results for high-stakes outcomes. 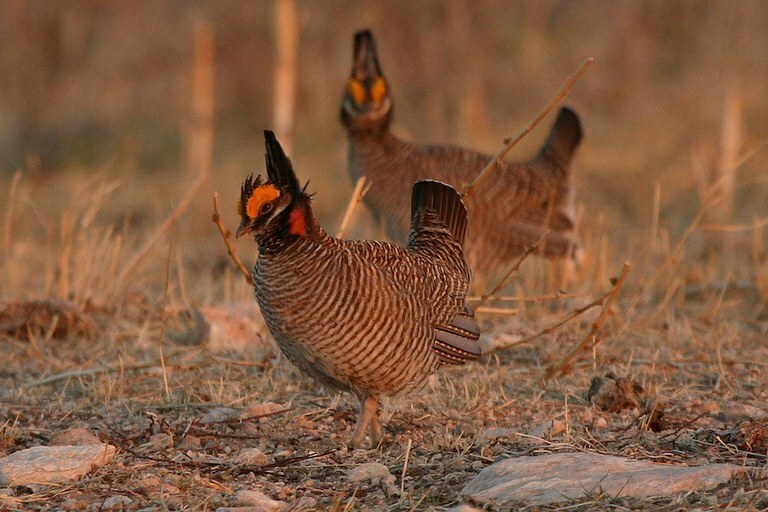 Lesser prairie chicken populations could be impacted by bills aimed at weakening the Endangered Species Act. Although the ESA was written to base listing decisions on science, H.R. 717 seeks to revise the act so that the Fish and Wildlife Service considers economic impacts first, which range from private property values, to the provisioning of public services such as water and power, to state and local revenue streams. The bill would make the listing process even more unwieldy than it already is, because listing or delisting a species – such as the grizzly bear – affects different communities in different ways. Petitions to list species as threatened would almost certainly be effectively blocked. Currently, when the agency finds a threatened species “warranted but precluded” for listing, that means that the species is threatened, but the agency does not have the resources to list it. Under this bill, the agency could choose not to list a species as threatened because of the anticipated economic effects of the listing. Since the bill does not specify who would identify possible economic losses at the state or local level, it’s hard to say how accurate or even-handed those findings would be. Meanwhile, petitions to list species as endangered would be slowed down more than they already are—possibly forever; one common reason for Endangered Species Act lawsuits by environmental groups is because the Fish and Wildlife Service takes more than the year allowed by the act to decide whether to list a species. This bill allows the agency to decide “as expeditiously as practicable.” Yet before considering any petitions to list a species as threatened or endangered, the Fish and Wildlife Service would first have to resolve any pending petitions to remove a species from listing. This bill is short and blunt: Citizens who bring suits under the ESA will have a hard time recovering attorneys’ fees, even if they win their cases. Currently, under the “citizen suits” provision of the Endangered Species Act, courts award the costs of litigation – including lawyers’ fees and expert witness fees – to any party that they deem appropriate. According to the National Law Review, the coverage of such legal fees can make the difference as to whether private citizens can sue so that environmental laws are followed. If this bill passed, litigation fees, which would be awarded to the prevailing parties, would not necessarily include lawyer or court fees. When they did, reimbursements rates would be capped.